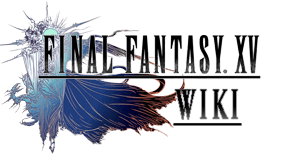 Final Fantasy XV Wiki will guide you with all information on quests, royal arms, characters, maps, tactics, abilities, walkthroughs and more! FFXV Windows Edition coming early 2018! Final Fantasy XV News, Patches, Updates! Can someone tell me what to do in the pitios dungeon? I do not know what to do. Right now I am stuck on what to do in the room with the rotating puzzle, I got the genji gloves, can I go further? Art, is so wonderful, we&apos;ve come so very fare is this life, and just look what we have & don&apos;t. I&apos;d really like win this, (we have the wheel, the tub, the TV, the Computer, the Internet Matrix website & now we are getting the Trump...)V.R. Google well replace the good old cell phone and hay whats next?. Star Wars, How about a Walk-On Roll with this next game of Final Fantasy XVI. Just one thing more to justify my being here, dreams don&apos;t die, people quiet dreaming, the point is to do some thing nice for some one you don&apos;t know or even like and not tell anyone, it&apos;s why we are even here in the first plaice. I think it&apos;s time now to step down from that soap box, thank-you hearing me Rambo off, have a good life from now on. Why has the Gleam Widget disappeared and no winner was announced? Was this another FAKE giveaway?